// Nathan Swartz bought a half interest in the Abington Shoe Company in Abington, Massachusetts. // Nathan Swartz bought the remaining interest in Abington Shoe Company and welcomed his sons into the company, manufacturing private label shoes for leading brand manufacturers for almost 10 years. // The Swartz family introduced injection-molding technology to the footwear industry. This revolutionary technology fused soles to leather uppers without stitching, producing truly waterproof boots and shoes. // The Swartz family developed the Timberland® brand name. // Timberland created its first guaranteed waterproof boot under the Timberland® name. // The Company launched its first advertising campaign. // The Swartz family changed the name of the company to The Timberland Company. // Timberland manufactured its first hand sewn casual shoe. // Timberland manufactured its first boat shoe. // Timberland® footwear introduced into first international market: Italy. // Timberland begins field-testing products in the Iditarod® Sled Dog Race. // Nathan's son Sidney Swartz became sole proprietor of the family operation. // First Timberland® store opens: Newport, Rhode Island. // In broadcast media, Timberland introduced a new era by becoming the first boot manufacturer to advertise on national television. // Timberland went public on the American Stock Exchange. // Timberland enters the men's and women's clothing and accessories market. // Timberland partnered with City Year, Inc., the Boston-based youth "urban peace corps" and model for national youth service, to support community service. Since that time, Timberland has provided over $10 million dollars to City Year, helping them expand their service program to 13 cities across the United States. // Timberland introduced a lightweight hiking boot, featuring the Timberland® Trail Grip™ outsole, a rubber lug sole designed to provide maximum traction without harming the trail. // Timberland's first European store opens on New Bond Street in London. // Timberland introduces women's apparel into the line. // Timberland developed its first professional Mukluk boot, worn by official 1990 Iditarod® Trail Sled Dog Race mushers (racers). // Timberland introduced its exclusive waterproof leather outerwear and accessories. // Timberland switched from American Stock Exchange to New York Stock Exchange. // To sustain the communities in which its employees live and work, Timberland developed what later became The Path of Service™ program, a progressive corporate policy offering employees 16 hours paid leave to perform community service. // Timberland launched its "Give Racism the Boot" awareness campaign supporting diversity and standing up against oppression internationally. // Timberland introduced its World Hiker Series of performance hiking gear in the United States, as well as an expanded line of performance marine gear. // Timberland signed a set of environmental ethics, introduced by the Coalition for Environmentally Responsible Economies (CERES), which guide corporate conduct and enable corporate investors to make informed decisions on environmental issues. // Timberland launched its Model People print campaign, honoring individuals who pull on their boots and make a difference. // Timberland's sales more than tripled between 1990 and 1994 – the same time Timberland became a major component of hip-hop and urban culture. // Timberland introduced Active Comfort Technology (ACT) system, a comfort system built into many Timberland® shoes that provides the ideal balance of cushioning support for long-term comfort and climate control for footwear and apparel. // Timberland introduces boots and shoes for kids and expands licensing agreements to include a growing watch line, leg wear, day packs and travel gear, gloves and leather care products. // Timberland increased the benefit of paid employee volunteer time to 40 hours. // Timberland introduced apparel for kids. // Timberland launched its Beliefs print campaign, which reflected the company's philosophy of "pulling on your boots and making a difference." // To celebrate the Company's 25th anniversary, Timberland held the 1st Annual Serv-a-palooza on June 18th, the largest company-wide day of community service. // As part of America's Promise, Timberland surpassed its commitment to serve 40,000 hours in communities by the year 2000. // Jeffrey Swartz, previously serving as Chief Operating officer of Timberland, became President and CEO. // Timberland was selected as one of 1998's "100 Best Companies to Work For" by Fortune Magazine. 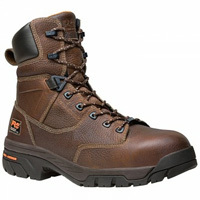 // Timberland PRO® series was introduced for the professional tradesman. // Timberland expanded its product line with the introduction of its Timberland® Mountain Athletics® brand. // The Company was recognized with the Community IMPACT! Corporate Leadership Award at the Kennedy Center in Washington, DC. // Timberland announced its first partnership between NASCAR and its Timberland PRO® series line of work boots for working professionals. //For the 5th consecutive year, Timberland placed on Fortune magazine's "100 Best Companies to Work For" list for the year 2001 and was also ranked on Forbes magazine's "Platinum 400 - The Best Big Companies In America" list for 2001. // Timberland was asked to be one of 19 founding members of Businesses Strengthening America, a White House initiative focused on national corporate service. // Timberland was ranked number five in the apparel category on Fortune Magazine's list of "Most Admired Companies." // The Timberland Company celebrates its 30th anniversary with President and CEO Jeff Swartz ringing the bell at the New York Stock Exchange. // The company highlighted new levels of transparency, including the disclosure of the names and locations of contract factories worldwide, in its 2004 Corporate Social Responsibility Report. // Timberland was named to the list of "100 Best Companies for Working Mothers" byWorking Mother magazine. // Timberland acquired SmartWool Corporation, a recognized market leader in performance-based merino wool socks. // Timberland expanded its product line with the UK by introducing The Timberland Boot Company® collection. // In the wake of Hurricane Katrina in the Gulf Coast region of the US, Timberland established a short-term service sabbatical for employees wishing to assist with disaster relief efforts. //The company set a new standard for product transparency and increased its efforts to minimize environmental impact by introducing new, more eco-conscious packaging for its footwear products and a "nutritional label" -- product information label that details aspects of the company's environmental and community footprint. // Timberland was named one of the "100 Best Companies to Work For" by Fortune magazine for the tenth consecutive year. // First footwear manufacturer to commercialize Green Rubber™ technology. The Timberland Company has partnered with Green Rubber Inc. to launch two new footwear collections featuring outsoles made using recycled rubber from discarded tires. // Global launch of the Earthkeeper campaign, a movement to recruit one million people to become part of an online network designed to inspire real environmental behavior change. // U.S. Green Building Council (USGBC) awarded LEED® (Leadership in Energy and Environmental Design) Gold certification for Timberland's Peabody, MA retail store location and LEED Silver certification for Timberland's Salem, NH retail store location. // Timberland debuts the Abington Collection, taking its moniker from the original Timberland company name (The Abington Shoe Company). // "Podium" TV advertising campaign is launched. // Ranked 8th among Top 100 Best Adoption-Friendly Workplaces. // Shrinks the carbon footprint of its US stores by an additional 11% by switching 70% of its North American stores to LED lighting. // Official footwear and outerwear sponsor of the 2009 Sundance Film Festival. // Walk the Talk advertising campaign is launched. // Timberland and Soles4Souls launch nationwide in-store shoe donation program. // Fast Company magazine's annual Most Innovative Companies issue honors Timberland as one of the world's top businesses. In addition to placing on the overall Innovation All-star list, culled from past Top 50 honorees, Fast Company ranked the Top 10 Most Innovative Companies in 24 sectors. 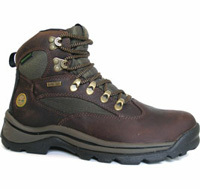 Timberland is ranked 4th in the Fashion category and 6th in the Consumer Products category. // "Bait" TV advertising campaign launched featuring Timberland® Mountain Athletics® footwear. // Timberland expanded its product line with the introduction of the Newmarket Collection. // Timberland ranks #2 on Climate Counts' list of companies making aggressive strides in fighting climate change. // Timberland was named one of Outside Magazine's "Best Places to Work." // U.S. Green Building Council (USGBC) awarded Leadership in Energy and Environmental Design (LEED) for Commercial Interiors (CI) Silver certification for Timberland's Deer Park, NY retail store location. // Timberland sponsors #1 ranked Olympic sailing team from Spain, equipping them with Timberland Earthkeepers footwear and apparel. // Timberland partners with Parigi Group to license kids apparel in the United States and its territories. // Timberland becomes a wholly owned subsidiary of VF Corporation.